On August 10, 2014, the Forty-first International Conference on Computer Graphics and Interactive Techniques will commence at the Vancouver Convention Center in Vancouver, Canada. The conference will run from August 10 to August 14, with the exhibition open between August 12 and 14. After SIGGRAPH 2011 broke Vancouver’s previous all-time conference attendance records, it has become one of the most memorable SIGGRAPH conference cities. Due to this overwhelming attendance and community support, SIGGRAPH 2014 will return to Vancouver for the 41st International Conference and Exhibition on Computer Graphics and Interactive Techniques, 10-14 August 2014. Dave Shreiner, Director of Graphics Technology at ARM, Inc, will serve as SIGGRAPH 2014 Conference Chair. Shreiner has been an active member in the SIGGRAPH community for the past 25 years as a presenter and volunteer (SIGGRAPH 2006 Courses Chair and SIGGRAPH 2009 Director of Knowledge Transfer). 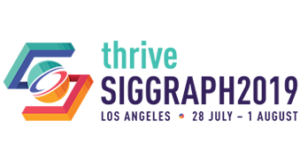 For further details on SIGGRAPH 2014 conference, visit the SIGGRAPH 2014 website. ACM SIGGRAPH members receive discounts on conference registrations for SIGGRAPH, SIGGRAPH Asia and Eurographics. Non-members can sign up for ACM SIGGRAPH membership online: $42 for a one-year professional membership, $30 for a one-year student membership. Already a member? Why not join your local ACM SIGGRAPH professional chapter or ACM SIGGRAPH student chapter.